As Christians we often reflect on what Jesus has done for us—and continues to do. Last weekend we had the opportunity to appreciate how Jesus has made us a community. 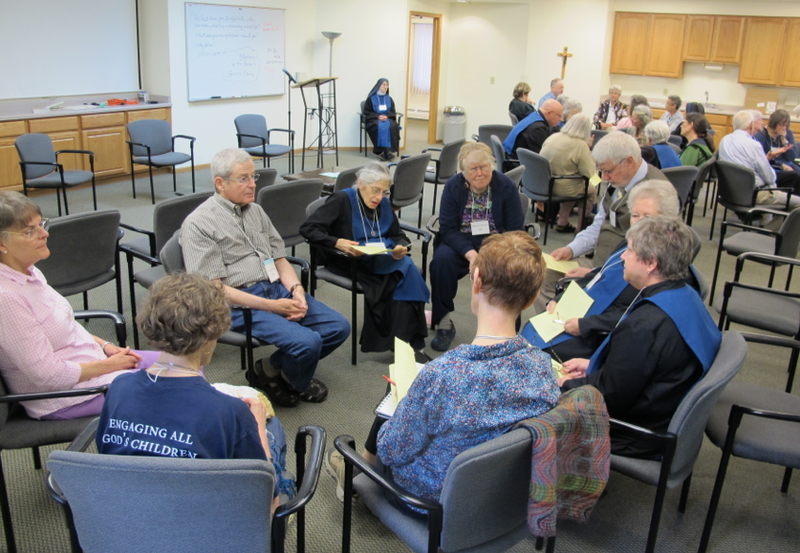 Over thirty of our worldwide family of Associates and Oblates were able to join us for our annual Julianfest in Oconomowoc. While there was much catching up on news and events in everyone's lives, there were also the treasured moments of simply being together, ministering to each other and worshiping together, and creating community together, with the joy of seeing so many faces that we pray for each day. Our speaker at Julianfest, Professor David Carlson of Franklin College IN, spoke to us about another kind of togetherness: that mutual support which members of different religious communities—Muslim, Jewish, and Christian, to name a few—can give each other both in times of crisis and times of peace, not least in prayer for each other. We recommend to all to consider taking part in the movement Shoulder to Shoulder in Interfaith Witness, not only for those who work in interfaith ministries, but for all as a simple and powerful gesture of the best that our faiths have to offer.